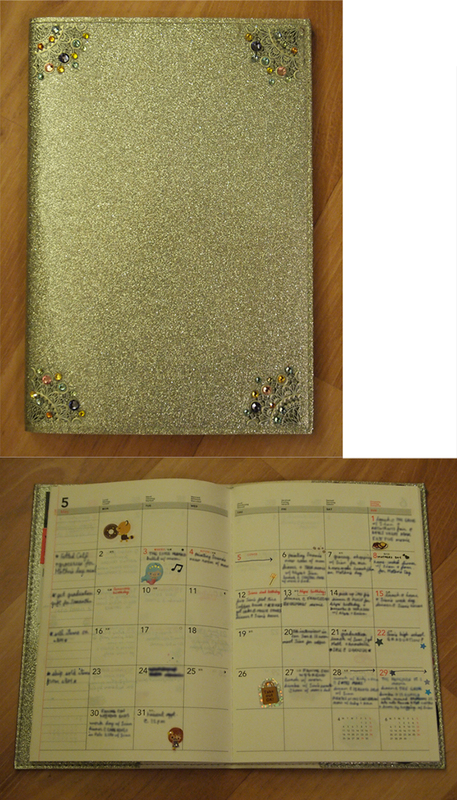 A custom designed datebook diary I bought at LoFT. Large spaces perfect for writing appointments & birthdays. If you can’t find a design you like, you can get a generic datebook & decorate it yourself with stickers, decals & crystal beads.